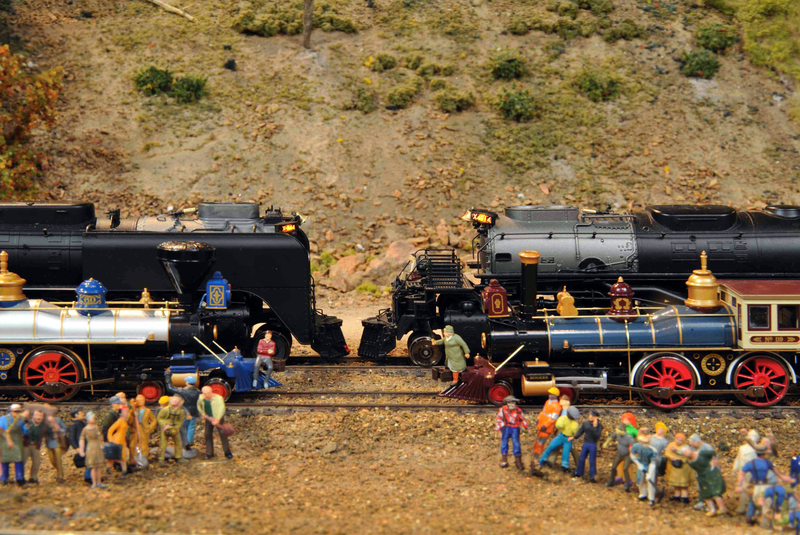 In honor of Utah’s Celebration of the 150th Anniversary of the Golden Spike, we will have our own reenactment in HO scale. Friday the Jupiter and No. 119 will meet up and on Saturday the 844 and the Big Boy No. 4014 will meet up at our very own Gearhart Mountain! We will also be OPEN for extended hours Tuesday 5/7, Wednesday 5/8 and Thursday 5/9, 10am to 4pm.